Considering a change of address? Maybe you’ve hired additional staff, or your building seems full of more cracks than character these days. If so, it might be time to move your office. But before you start adjusting budgets and packing up power cords, here are a few tips that may make staying in your current office an even better choice than moving to a new office. It’s easy to say your current office isn’t working, but unless you break it down into specifics, you risk moving into an equally unsuitable new office. Once you’ve identified what needs changing, you may be surprised at just how much you can transform the space you’re in. With the right framework and a plan, it’s possible to meet your business needs now and well into the future. Or, at least long enough to find your dream office. Does every employee have a dedicated workspace? Are space limitations preventing you from adding resources necessary to grow, or run your business more efficiently? Is there enough parking for employees and clients? Never underestimate the power of a parking spot! Is there a variety of private and collaborative workspaces? Where is the company headed in the next 3-5 years? Talk to your employees. Find out what they love about the current office. Don’t change it! What are their biggest complaints? Can they be addressed without moving to a new office? Now that you’re sure you have the list of reasons why it’s time to move your office, think again. Try to re-imagine the place. If you’re having trouble seeing the potential for change, invest in a professional consultation with an interior designer, or office moving company, because professional office movers can also assist with space re-configuration. And a fresh perspective will open up a world of possibilities… and space. Each of which, play a major role in boosting productivity. Can your employees work from home a few days each month? With the right equipment (see point #3 below) your staff can work effectively from nearly anywhere. Offering some flexibility will take pressure off office resources and rejuvenate your people. Just think of how much room that fax machine is taking up. New technology is exciting. It can elevate the appearance and functionality of a business office—not to mention boost employee morale. Faster systems allow people to work more efficiently, stay focused and have a greater sense of accomplishment. And you certainly don’t need to move your office to take advantage of the renewed human energy and efficiency that comes from upgrading your office tech. In fact, new office furniture is one of the fastest ways to improve productivity, workflow, and aesthetics. Quite a lot of impact for a few new tables and chairs. While there is an incredible variety of traditional and modern office furniture to choose from, including lines from Steelcase, Teknion, Inscape and Henry Miller, you might even consider custom furniture to make the best use of space in a uniquely designed office. Add plants to help filter the air—and keep them pesticide free! Expose natural light wherever you can. A study from Northwestern University shows employees exposed to more natural light at the office enjoy a better quality of life than those exposed to less daylight in their workplace. Just make sure to include adjustable window covers. Use dimmer switches for overhead lighting, and task lighting to ease eyestrain. Paint your meeting room a vibrant colour to stimulate creativity and lively discussion. Add artwork that reflects your company’s values and makes for a more attractive workplace. Strategically placed art can reduce stress, energize employees and inspire conversation. Location: the cardinal rule in real estate. If you’re stuck on the outskirts while your competitors are thriving near clients and other business partners, it may be time to pack your boxes and join them. Capacity: when you simply have too many (or too few) people for the space available, and no amount of clever design will change these inefficiencies, it’s time to move your office. When the time comes to expand beyond your current office, get in touch with a professional office movers right from the start. Our team has flawlessly executed hundreds of moves. 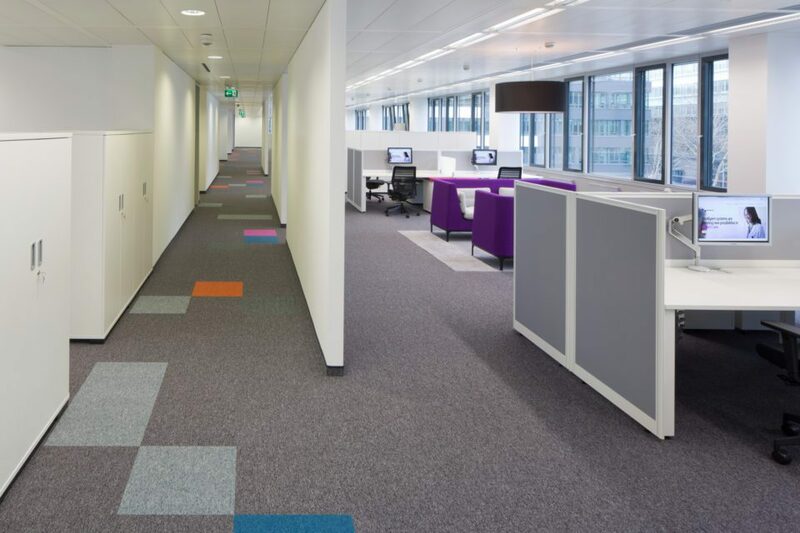 We can help you plan, design and get moving to a new office space with ease.